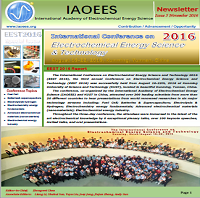 International Academy of Electrochemical Energy Science (IAOEES) would like to invite you to sponsor the academy. 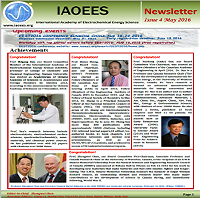 IAOEES, founded in 2013, is a non-profit international academy organization registered and governed by Canada Government’s Laws. 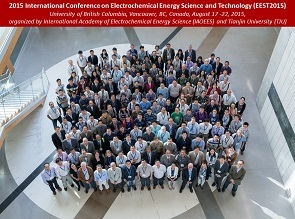 With the vision to encourage global research and partnerships in the field of electrochemical energy science and technology, specifically in the areas of energy conversion and storage; IAOEES promotes both the academic and technical exchange among members through journal publications, seminars, science and technology trainings, international conferences, and student fellowship support. In doing so, we are committed to reducing emissions of CO2/NOx/SOx and VOCs and thereby helping make major contributions to the creation of a clean energy powered, pollution free and sustainable living world. 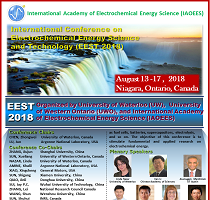 Through IAOEES’s Website, Active Members, and the Annual Electrochemical Energy Science and Technology Conference, scientists and entrepreneurs around the world join together with a common interest in meeting the rising global energy and environment challenges. 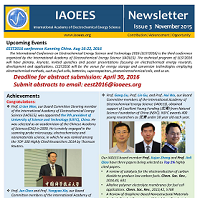 We believe IAOEES can provide an excellent opportunity for your company to gain valuable exposure to several hundred of the world’s brightest researchers in the areas of electrochemical energy conversion and storage. 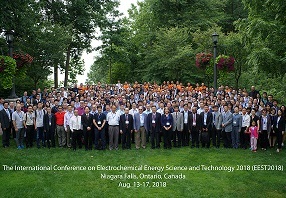 Governing by Canadian Federal Government, your sponsorship will enable IAOEES to further develop the established network, unite researchers and scientists within the community, cover the routing administration/operation expenses, and award the necessary travel/accommodation expenses for promoting electrochemical energy globally. 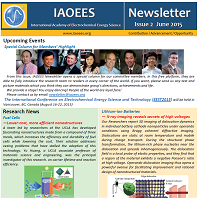 Please click HERE to find more detailed information of the benefits of IAOEES sponsorship and the opportunities available. and has developed varieties of fuel cell test station from 100w to 150 KW and fuel cell types in PEM, SOFC, and DMFC. 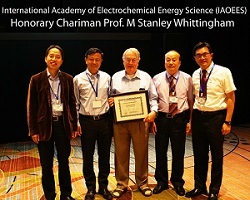 Mr. Edward Huang is the member of National Fuel Cell Standard Committee of China. 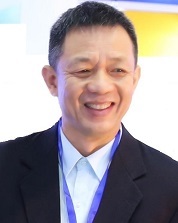 Mr. Binglun Tian is a Founder and Board Chairman of Pearl Hydrogen Technology Co., Ltd, a leading company providing specialized & High-performing air-cooling self-humidified PEM fuel cell stacks for clean power applications. 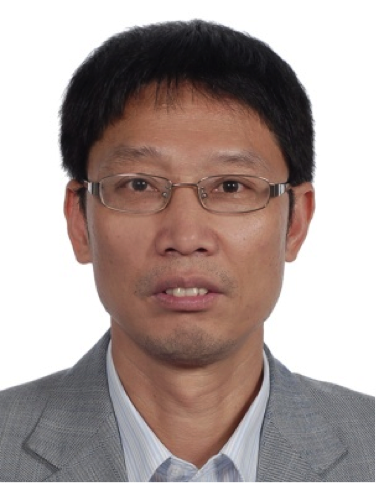 Mr. Tian is a Chief Engineer with strong background of PEM fuel cells. He has 15 years of experience, particularly in both small and large scaled PEM fuel cell stacks and systems. As the first inventor, Mr. Tian has applied for 40 patents, including 2 PCT international patents. Under the leadership of Mr. Tian, the company has successfully solved the directly cold-start problems in the air-cooled fuel cell systems and also the stability and performance problems under non-humidified operation conditions. His company is now developing and manufacture self-humidified air-cooled fuel cell systems through material research and preparation such as catalyst/membrane/GDL. The developed air-cooled fuel cell systems are marked with high power density, high stability & reliability, and low cost for backup power, niche transportation, portable power and many other applications. The company has clients from China, EU, US and other countries worldwide. 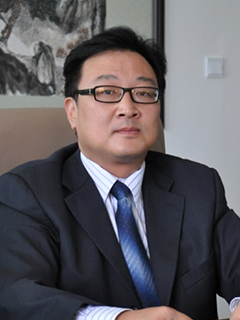 Mr. Jian Shi is the Senior Economist and the Chief-Executive Officer at Aoxin New Energy Company, China. He obtained his Master degree in economics from Huazhong Normal University, Wuhan, China. He has strong experience in the management of automobile industry. 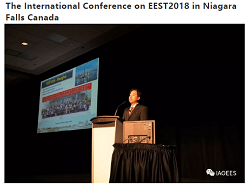 His fruitful working experience in working at China's second car plant and Dongfeng Automobile Co., Ltd. has lead him to being great successful in establishing this Aoxin company for research, development, manufacture and sale of pure electric and mixed electric automobiles. Aoxin New Energy Company is a highly new technological enterprise, founded in 2006, in the Jiangsu Province Yancheng Economic Developmental Zone. The company stands next to The Yellow Sea. An area of 60000 square meters production grounds. There established complete automobile production line, check line, production workshop for automobile key parts, and full function test lab. Technical centre has scores engineers and technicians who are professionals in automobile equipment, motor, electric machine, electric control, and battery. In addition, some closely cooperation relationships with many universities and research institutions in China have been established and consolidated in recent years. AoXin has developed several kinds of pure electromotion automobile and mixed power cars, commercial use cars, postal vehicles, and cleaning vehicles. They have the advantage of zero emission, low noise, low use charge and are widely used in post, electricity industry, city cleaning, commercial centre, and industrial park and so on. Dr. Zi-Feng Ma is the President of Sinopoly Battery Research Center in Hong Kong; a Distinguished Professor and Chair of the Department of Chemical Engineering, the Vice Dean of the Energy Research Institute, the Founding Director of the Institute of Electrochemical & Energy Technology at Shanghai Jiao Tong University; the Chairmen of China Association of Energy Storage Engineering; the China section Chair of ECS; and a Board Committee Member of International Academy of Electrochemical Science (IAOEES). Dr. Ma’s research interests are: Fuel cells, rechargeable secondary batteries, supercapacitors, and electrochemical energy system integration and applications. He received his BSc (1985) and MSc (1988) Degrees in Chemical Engineering at Zhejiang University. In 1995 he received his Ph D in Chemical Engineering at South China University of Technology. He was appointed as the Chief Scientist of the 973 program of China in 2007 and 2013. Dr. Ma’s Sinopoly Battery Research Center focuses on research, development, and manufacture of the materials and technologies for Li-ion, Li-Air & Li-S batteries, fuel cells and supercapacitors for power applications, particularly for automobile applications. 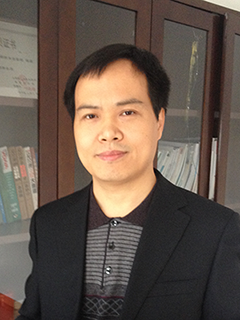 Dr. Tong Zhang is a Professor and Director of New Energy Automotive Engineering Center at Tongji University (China). 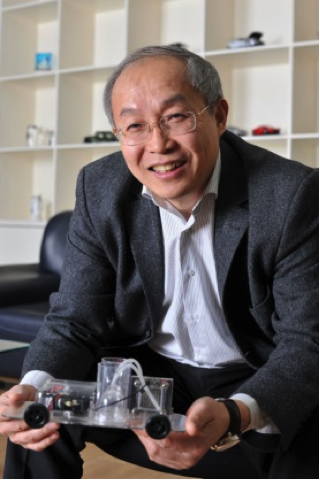 Dr. Zhang obtained his Bachelor degree from Automotive Engineering Department at Tsinghua University, and Ph.D from the Institute of Automotive Engineering at Technical University of Berlin (Germany) in 1991. Dr. Zhang worked at the Ford Motor Company Product Development Center (Cologne, Germany) for 14 years, accumulated a profound grasp of expertise and experience. 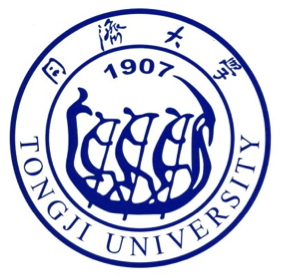 The Clean Energy Automotive Engineering Center (shorten as CEAEC in the following texts) of Tongji University is founded in 2002, and locates in Jiading Campus of Tongji University. As an important part of Shanghai International Automobile City, Jiading Campus of Tongji University has built a discipline chain for modern manufacturing with the focus on ground transportation, in which automobile plays an important role. 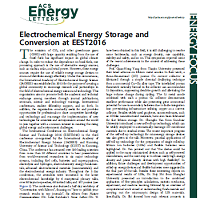 All of this supplies a favourable environment for the CEAEC’s R&D activities. CEAEC covers ca.9043 m2 ground with a floor area of 24126 m2 and has two buildings, one for R&D and administrative staff, and the other for the test & trial purpose. CEAEC has its five R&D departments, i.e. 1) Powertrain System Integration, 2) Electronics & Information Technology, 3) Electric Propulsion Systems, 4) Fuel Cell Systems and 5) Clean Energy & Materials. Comprehensive and advanced equipments and instruments belonging to The CEAEC’s Test Laboratories serve the R&D activities of the above mentioned five departments. CEAEC aims strategically at building a R&D platform, clustering and building up advanced engineers and scientists for clean energy automobile engineering. Furthermore, CEAEC would like to play a leading role in clean energy automobile technology in the future, and to support and promote the growth of automobile industry. During the time period under the 10th, 11th and 12th Five-Year Plans, CAEAC has undertaken many national and local science and technology projects, for example, the projects of China’s 863 Program (National High-Tech Research and Development Program), 973 program (National Basic Research Program) and National Natural Science Foundation. CEAEC also provides significant technical support for the demonstration operation of clean energy shuttles in Beijing 2008 Olympics and Expo 2010 Shanghai. CEAEC is also honoured as National Fuel Cell Vehicle & Powertrain System Research & Engineering Center of Science and Technology, National Engineering Laboratory of Clean Energy Vehicle & Powertrain System of the Development and Reform Commission, Clean Energy Automotive Engineering Research Center of the Ministry of Education, National Center for International Research, Sino-German Joint Research Center of Electric Vehicle, Shanghai Engineering Research Center of Electric Vehicle, Shanghai Technical Innovation Platform for Clean Energy Automotive Industry and general secretary office of China’s Fuel Cell Vehicle Technology Innovation Strategic Alliance. CEAEC is also instructed to coordinate the secretary duties of International Partnership for Hydrogen and Fuel Cells in the Economy by the Ministry of Science and Technology of China. Kama Co., Ltd was founded on June 19th, 1998, registered in Pudong District, Shanghai, China. It has been listed on the Shanghai Stock Exchange since June 24th, 1998 with the stock code 900953. 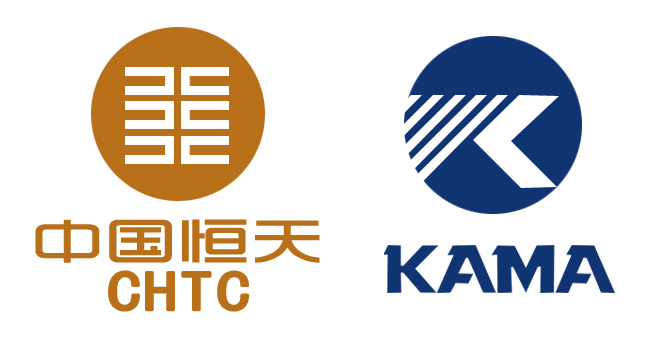 Kama currently owns 6 subsidiaries that are mainly located in Shandong, Jiangsu, Jiangxi and Heilongjiang. For the past few years, the competitiveness of Kama has been promoted by accelerating the adjustment of industrial and product structures. By now, Kama operates its major business across trucks, small and medium power diesel engines, mining machinery and the sale of small machinery and electrical products. When you need your scientific and technical manuscripts/ documents professionally translated between Chinese and English (or other language), and making your English manuscripts proofread, MPOINT Translation Services offers technical translation and proofreading services via using professional, domain specific translators and experts who understand your industrial and scientific research/engineering areas including Electrochemical Energy Fundamentals, Electrolysis & Hydrogen, Fuel Cells, Electrochemical Nanomaterials, and Batteries & Supercapacitors. If you would like to know the price, delivery time or any other questions related to the services, please contact us via email below and we will get back to you as soon as we can. The information contained in this website is for general information purposes only. The information is provided by each individual sponsor and while IAOEES endeavour to keep the information up to date and correct, we make no representations or warranties of any kind, express or implied, about the completeness, accuracy, reliability, suitability or availability with respect to the website or the information, products, services, or related graphics contained on the website for any purpose. Any reliance you place on such information is therefore strictly at your own risk. In no event will IAOEES be liable for any loss or damage including without limitation, indirect or consequential loss or damage, or any loss or damage whatsoever arising from loss of data or profits arising out of, or in connection with, the use of this website. 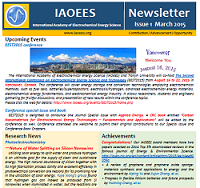 Through this website you are able to link to other websites which are not under the control of IAOEES. We have no control over the nature, content and availability of those sites. The inclusion of any links does not necessarily imply a recommendation or endorse the views expressed within them. Every effort is made to keep the website up and running smoothly. However, IAOEES takes no responsibility for, and will not be liable for, the website being temporarily unavailable due to technical issues beyond our control.